Fall is the perfect season to explore your community. Luckily, Brunswick has a variety of activities to appeal to those who like pumpkins and hayrack rides, as well as residents who love to explore the fall colors outdoors. Check out a few of our favorite events. 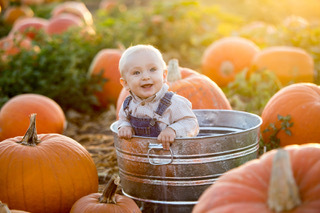 Offering quintessential fall family fun is Pumpkin Village at Mapleside Farms (294 Pearl Road in Brunswick). 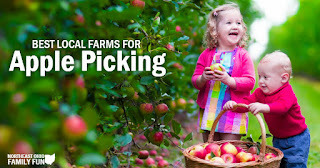 Open all season and welcoming visitors of all ages, the working orchard offers up fall activities from yesteryear. Not only can you ride the hayride, but you can also get lost – and hopefully find your wait out! – in a seven-acre corn maze. Other attractions include the longest slide in the U.S. and a pair of massive jumping pillows. Pumpkin Village is open on Fridays from 4pm until 10pm, Saturdays from 10am until 10pm, and Sundays from 10am until 6pm. Every weekend at Pumpkin Village is a themed weekend. 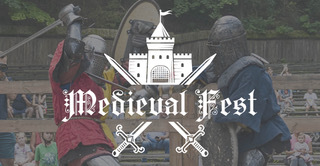 A favorite is the Medieval Fest on September 15 and 16. Watch battle reenactments or dress in your own ancient garb. Remember, though you might be dressed up, you can still take home some apples – and eat some apple pie – grown right on this working orchard. Themed weekends will be open from 10am until 7pm on Saturdays and 10am until 6pm on Sundays. 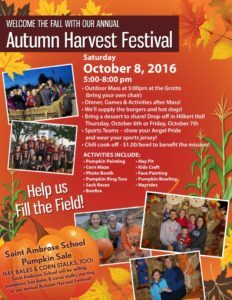 On October 8, Saint Ambrose Catholic School (923 Pearl Road in Brunswick) will host its ever-popular Autumn Harvest Festival. Lots of activities will prepare you for the fall season. Some highlights include painting pumpkins, hayrack rides, campfires, and corn stalk decorations for the front yard. Come hungry; the food offerings are not to be missed. This free-entry festival will be held from 5pm until 8pm. The fall colors will really be on view for the October 20 Colors Along the Creek guided hike, held in Plum Creek Park South (2500 Plum Creek Parkway). The free event for all ages will take participants on a stroll along Plum Creek, which promises to show off its fall colors. 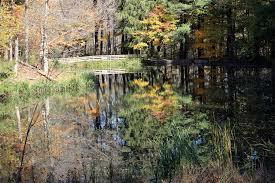 The guided hike will take place from 10am until 11am; no need to register, just show up!